Berkeley: University of California / Bancroft Library, 1978. Pamphlet. 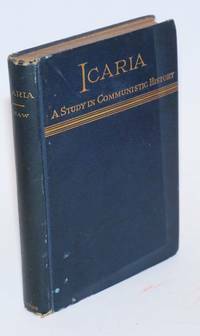 39p., illustrated with mug- and snap-shots of eminent professors, softbound, a stapled 9x6 inch pamphlet; covers are faintly sunned, and front cover bears the author's signed inscription to "Ann," his editor. A very good copy. 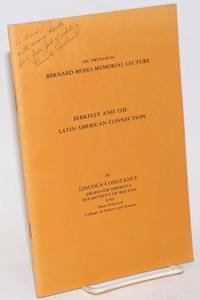 Professor Constance was tapped for an annual Bernard Moses Memorial Lecture, and wondered why, "knowing only that he had a University building named for him;" it so happened that Moses was a ground-breaking scholar of Latin America and that UC Berkeley was in one of its periodic ignore-South-America phases. Toronto, 1886. 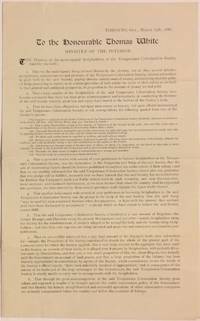 Two-page printed petition on a single folded sheet; 8.25x13.25 inches, horizontally fold-creased, with some splitting at the ends of the folds. Not found in OCLC as of February 2019. The Temperance Colonization Society, established in 1881, sought to establish an alcohol-free community on the prairie. The TCS obtained a large swath of land in Saskatchewan from the Canadian government, and sold scrip to prospective settlers who planned to farm it. The scrip could then be used to claim land in the settlement. Colonization was not as smooth as had been promised, however, and during this period the flow of settlers slowed to a trickle. 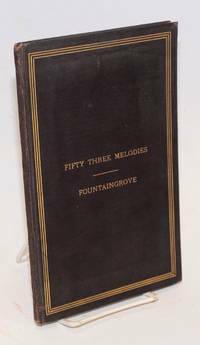 The present document, a formal complaint by scripholders of the TCS, states that the original prospectuses and advertisements had been glowing, but "...a large number of the Scripholders of the said Temperance Colonization Society have become convinced that there has been gross mismanagement and irregularity in conducting the business of the said Society whereby great loss and injury have inured to the holders of the Society's scrip." 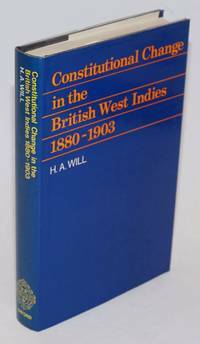 The settlers had learned that the Society had no real legal authority to prevent the sale of liquor throughout the territory, that the Society was riven by lawsuits, and that the scrip they had purchased for reserving land could not be used as promised. The petition ends with three possible solutions to the crisis, including the possible closure of the Society. The TCS did finally dissolve in 1891, a year after the first railroad reached Saskatoon. The original settlement is known today as Nutana. San Francisco: Christopher-Clark Fine Art. Paperback. 48p., highly-glazed alkaline stock with profuse color reproductions (sepia where appropriate) captioned briefly, titlepage printed on metallic gold stock, softbound in 11x8.5 inch decorated wraps. Mildly edgeworn with short crimps along spine panel, gallery business card stapled to cover corner (staples show) with holograph notes on card, a sound clean copy. Cedar Falls IA: Dannevirke''s Trykkeri, 1921. Hardcover. 120p., printed on semi-alkaline glazed stock and furnished with scattered period photographs. A binder's error has allowed the staplebound textblock to partially separate from its casing, causing unsightly tears in the titlepage; paper bears occasional flecks of foxing; the flexicle oilcloth casing, 10.5x7.5 inches, is worn at head, tail and corner-tips. Good copy. 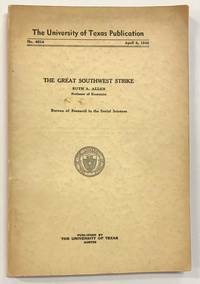 Austin: The University of Texas, 1942. 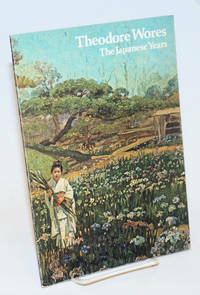 174p., paperback, wraps toned and lightly worn. The University of Texas Publication, no. 4214. April 8, 1942. Oxford: Clarendon Press, 1970. Hardcover. xiii, 331p., very good condition in like dj. Barcelona: Imprenta de Luis Tasso y Serra, 1884. Paperback. 220p., sewn signatures in plain printed 8.5x5.5 inch grey wraps. Unopened. Wraps are quite edgeworn with a spine panel that was burst in several spots (we've tacked these down, successfully), textblock is sound, mildly toned, its untrimmed edges have picked up foxing and impacted dust. No markings, a good, handleable copy. The auditor cometh. Text entirely in Spanish. 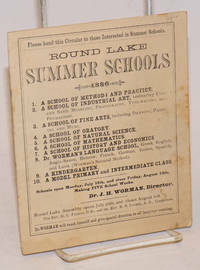 Troy NY: Round Lake Summer Schools, 1886. 24p., self-wraps, 6.5x5 inch sewn pamphlet, a sound copy with some cover-stains or foxing, and dust-soil, within find two pencillings: a dash next a lecturer in clay modelling and brackets around the clay class details. Find one page devoted to "An ideal day" at the school, 6:45 "Rising Bells" closing with an 8pm Lecture and Social Gatherings at 9pm. Lecturers are listed and faculty vitaes recorded. Also find ads for hotels, book and art suppliers, clothiers, purveyors of surveyors' instruments. A good (good-only) copy. Silverton CO: San Juan County Book Company, 1988. Pamphlet. vii, 35p., illustrated with exhiit photography and printed professionally using alkaline clay-coated paperstock; 8.5x5 inch staplebound pamphlet with a cover printed on metallic-silver cardstock. Front cover has a light paperclip dent, back cover a small seller's sticker; otherwise completely unblemished, a sound clean copy. 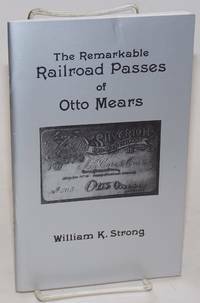 Mears owned several railroads, several mines, and a fund of energy. Free passes (and half-passes) were a lagniappe of the day and Mears commissioned very special ones. A man of many talents. When a man of the cloth protested he should be issued a fully free pass, not a half, citing the passage to freedom of the children of Israel out of Egypt, Mears answered personally, and his response was delicious. 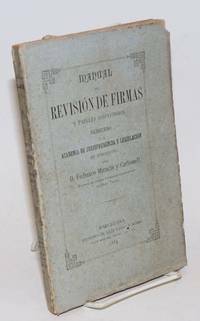 Villa Real: editor, 1880. Single folio leaf printed and folded to make 4p., each page 18x12.5 inches, folded again transversely. The curiously generous margins are not much worn, but all leaves are, or are nearly, detached along the transverse fold. Looks to be complete; texts address local matters with some correspondence from Lisbon. As is. 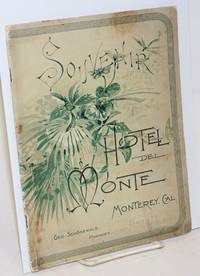 Monterey: the hotel, 1880. Pamphlet. 31p. 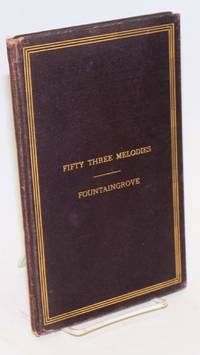 + a dozen pages of floorplans & rate-tables; illustrated with numerous wood-engraved local scenes mostly fullpage, and a folded leaf of coated stock with hotel scenes on one side and a fine view of Pacific Grove (then sparsely settled but with recognizeable coastline) on the other. 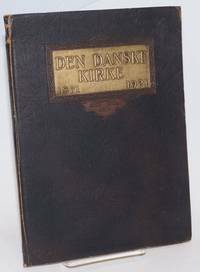 Large pamphlet, 9.5x7.5 inch stapled decorated wraps, cover is edgeworn with several tiny chips, some staining, dust and a pencilled date, spinefold is abraded and staples show rust. Internally quite good. Of interest to "natives" is that in this period the Seventeen-Mile Drive was known as the "Eighteen-Mile Drive" --how primitive! be-nighted! New York: John W. Lovell Company, Publishers, 1886. Hardcover. 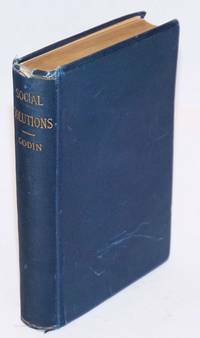 x, 326, 28p., frontisportrait of Godin, illustrations in text and four folding plates (views & plan), first edition, rear hinge cracked, minor fraying at head and tail of spine, a few pages of very light pencil underlining else good condition. On the French Familistere, with comments on Fourier and other utopian topics. Appendix is a report on the Familistere at Guise, France done in 1884. As Mari Jo Buhle notes in her bibliography of Women and the American Left "Marie Howland (1836-1921), one of the most remarkable figures in nineteenth-century American radicalism, lived, for those times, a free life and conducted a range of activities that spanned the First International , the Grange, and utopian colonization. [Santa Rosa]: Fountaingrove, 1886. Hardcover. 79p., decorated end papers removed else good condition. [Santa Rosa]: Fountaingrove, 1886. Hardcover. 79p., spine worn, minor edge wear, front blank end paper mostly detached but present, decorated end papers torn along the hinge else good condition. New York: G.P. Putnam's Sons, 1884. Hardcover. 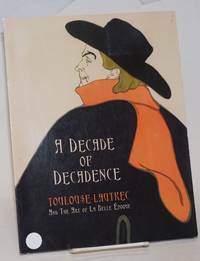 219p., first edition, front decorated endpapers missing, paper browned, original cloth is edge worn with minor fraying at head and tail of spine else good condition. New York: Horizon Press, 1962. Paperback. 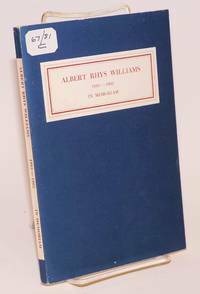 93p., wraps, old label on front wrap, spine sloped, previous owner's gift inscription, minor pen marginalia on two or three pages and a small stain to foredge, a decent reading copy only. Tributes and messages by Joshua Kunitz, Joseph Freeman, Josephine Herbst, Ella Winter, Mary Pickford, Gale Sondergaard and others. New York: Cigar Makers' International Union of America, 1880. Seven issues of the newspaper, disbound at left edge with thread and paper chips still adhering; some edge chipping but text is lost only at one corner of one page. Horizontal fold. Issues present are vol. V numbers 2-8. 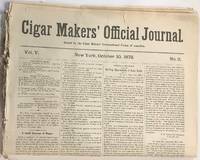 Updates on cigar union organizing, strikes, industry news, relevant legislative updates, and issues such as "tenement-house cigars" (disparaged as much as Chinese-made "coolie cigars," but produced in New York slums). Also included are the union's own fiscal records. These issues represent one of the most active periods of expansion for the union. Torino, Italy: Tip. 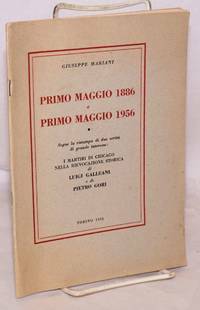 M. Appiano, 1956. Pamphlet. 38p., wraps slightly browned, minor handling wear else very good condition, portraits of the Chicago Haymarket martyrs, 6xx8.5 inches. Text in Italian. Emporia: Kansas State Teachers College, 1954. Pamphlet. 29p., wraps slightly worn, library address on rear wrap (no other markings), 6x9 inches. 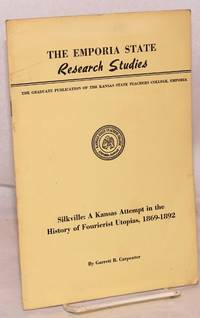 The Emporia State research studies, vol. 3, no. 2.